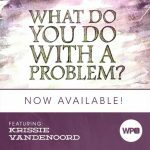 Krissie VandeNoord is a UX Engineer and WordPress developer with over 8 years of experience. Leveraging experiences gained both in and outside the WordPress community, she focuses on projects that use WordPress to optimize sales, workflow, and learning for companies such as John Deere and the Kansas City Ballet. Her latest endeavors include a ReactJS auction site for BNSF. She is currently exploring how to use those ideas in WP projects.